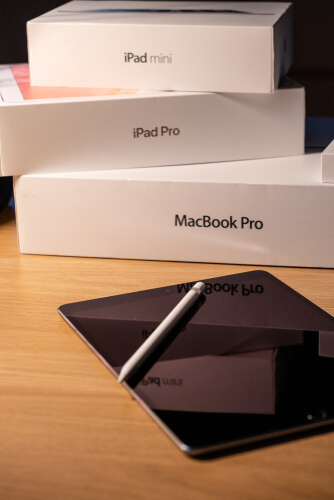 If you are reading this then there is a big chance that you are just a single of the millions and millions of online consumers who make use of an iPad device in order to get on the internet and actually get some work done. Some also use an iPad to stream TV shows and movies that they like and want to watch. Then there are those users who only use an iPad device in order to play games on. Of course, all the while some use the iPad device solely for their work commitments. If that is the case with you then it is very important for you to know how important a VPN service has become for iPad. Or for any other device for that matter. 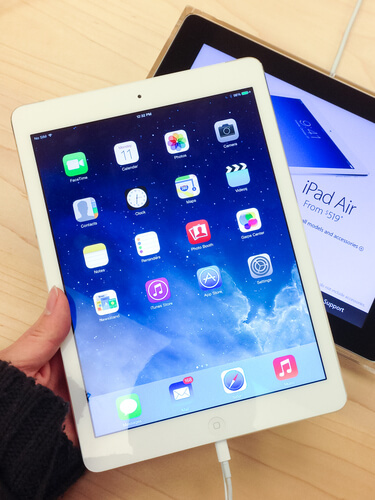 In this comprehensive guide we will take a deep look at all the best VPNs for iPad. We’ll talk about the best VPN apps as well. Moreover, we will also talk about the VPNs which cater to iPad users specifically. After reading this guide, we are confident that you will know everything there is to know in order to understand why you and everyone else needs a VPN service for their iPad device. At this point we would like to mention that we know there are some of you who fully understand that the best VPN can actually differ a lot for different people. In the end, it comes down to personal preferences. Different online users use the iPad device for different purposes. Because of this, we will not only mention the best VPN for iPad but also the all-round and most versatile VPN app and service for the user’s own requirements and wants. Perhaps this is also a good time to mention that it does not really matter what you use your iPad for. What matters is that you need to make use of a VPN service and you need to do it fast. In this guide we will also describe each and every feature that has had an impact on the ranking of a given VPN service. We hope that everyone can understand the fact that the VPN market is currently filled to the brim with the best contender and pretender VPN services. It is not a surprise and each and every VPN service that you are likely to come across will say that it is indeed the best VPN service for all of your privacy needs. But the reality is slightly different. No one can or should claim to be the absolute best VPN service on the planet. The other thing is that it is not even clear if the term best VPN even means anything to online consumers who own iPad devices. A best VPN could be best at a task that has nothing to do with iPad or ipad users. Therefore it is very important that you understand that just like the iPad each and every internet-enabled device is unique. People use different devices for different activities and tasks. And then they like to stick with the one that works best for them. In any case, there are still some general features that all best VPN for iPad should offer to their iPad users. We will describe that below now. Our research shows that this feature is a must one. If a VPN service is not giving you a dedicated VPN app for your platform then it is not that good. And even though it seems like Apple has somehow managed to gain the majority of the smartphone market share (not true), there are still many VPN service providers who do not take the pains to offer users a dedicated app for the platform. Hence, when you are out there, you need to make sure that you sign up for a VPN service that it offers a dedicated iOS VPN app for iPads. Because the iPad is a good mobile device, it stands to reason that any iOS app needs to offer its users a quick way to get connected to the online world. If you want to have this facility while using a VPN service then you need to make sure you select a VPN service that lets you form a connection to the internet via its encrypted tunnel with as little as one click. We are aware of the fact that iPad users are more savvy than other kinds of shoppers. They usually do a lot of work in order to make sure that they are able to get the best deal possible. If you feel like you are one of those users then you must sign up for a VPN service that offers a long money-back guarantee. It doesn’t matter if you want to access content that is blocked from abroad or are taking your iPad overseas yourself. What matters is that if you have an iPad device you must seek out to sign up for a VPN that offers users a good and versatile selection of VPN server locations and speeds. We hope that the VPN for iPad tips that we have given you above would have assisted you in narrowing the VPN field just a little bit. However, there is always a chance that you do not have the time to spend searching for the best VPN. 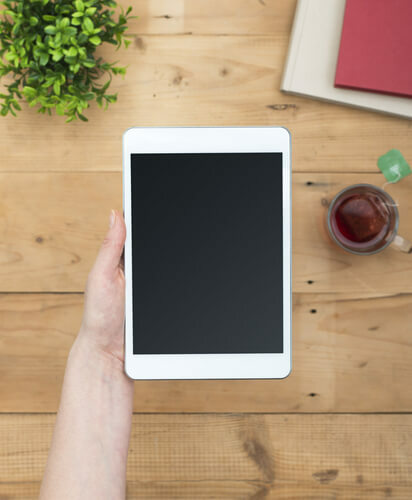 So take advantage of our years of research and read this section to find out the best VPNs for iPad 2019. If you are one of those users who happen to own a multiple number of internet-enabled devices and most of them are either Android or iOS, then you should look at no other VPN service than IPVanish. IPVanish is simply the best VPN for iPad. Or for any other device. IPVanish will enable you to protect almost all of your internet-enabled devices. In fact, since IPVanish allows each iPad user to connect up to 10 devices simultaneously per account, there is a good chance that you may even want to actually share IPVanish VPN with the rest of your family, friends and work colleagues. Again, if that is indeed the case then there is no point reading about any other service than IPVanish. Our extensive research shows that IPVanish is able to offer all user world-class encryption and servers. And since it allows you to simultaneous protect so many of your devices, you can actually gain a few favors from those who you offer to share your VPN service with. On its own, the number of simultaneous devices that IPVanish offers to users should be enough to get it on this list. But the reason why it is the number 1 VPN for iPad is that IPVanish does so much more than other VPN services. IPVanish is the most all-round VPN service that you can sign up for in the market today. The company’s VPN network is no slouch either. IPVanish is also one of the handful of VPN services that offers users a dedicated app for the iOS platform. All of this is neat. IPVanish also offers a simple design to users so that they do not have to think too much when trying to connect to the internet via IPVanish. Additionally, IPVanish fulfills our criteria of having the ability to connect to the internet via a single click. Many other small design decisions allow IPVanish to become one of the most user-friendly VPN services that you will ever hope to see. IPVanish is so committed to providing users the best and most secure VPN service that once some reports raise questions on the company’s privacy policies, the company fired its whole team and replaced it with another one. That is how serious the company is when it comes to providing the best VPN service to iPad users. Click here to read our full and complete IPVanish review. Click here to purchase an IPVanish package from the official website right here and right now. NordVPN is the VPN service that you should go with if you want to sign up for a premium VPN service but only at a budget price. NordVPN is the perfect VPN for those iPad users who not only want speed but also security. All NordVPN packages come with an official 30-day no-questions-asked money-back guarantee. However, NordVPN backs that up by offering some of its packages at super-low prices in order to further its case as the best VPN for iPad. If you are able to sign up with NordVPN for a longer period of time, you can save a lot of money. Of course, just because a VPN service is able to offer you low prices does not mean that it is any good. Because of the competition in the industry now, VPN services simply cannot afford to compromise on the quality of their VPN service. Our research shows that NordVPN has an iOS app that is not only beautiful but also filled to the brim with extra security features. To start off, it allows users to connect to the internet via a single click. Moreover, the company has purchased a huge VPN server network that allows it to offer VPN servers in almost all locations around the globe. Apart from that, NordVPN has the ability to unblock pretty much any and all websites, apps and streaming services. For those of you wondering, yes it does work with US Netflix and that too with ease. As far as security is concerned, there is no one better than NordVPN at it. In other words, NordVPN offers users a top-notch VPN service. This is great especially for those iPad users who connect to the public WiFi networks on a regular basis. Not only that, but NordVPN also offers each iPad user a state-of-the-art and strong encryption implementation. NordVPN actually has a whole bunch of extra security tools and features to assist those users who want to be safe in any and all circumstances. Click here to read our full and comprehensive NordVPN review right here and right now. Click here to get NordVPN from the official website at a discount right now. There is no doubt about the fact that ExpressVPN is one of the best VPN for iPad. And there are a variety of reasons why ExpressVPN is ranked so highly when it comes to best VPNs for iPad. The number one reason why ExpressVPN is good is that it has a iOS app. We think that it is more or less the best in the world right now. Its design is beautiful and easy to use. Not only that, it also boasts the very important feature of one-click connection. This is a feature that more and more iPad users are beginning to appreciate and demand. Apart from that, ExpressVPN is also very good at providing iPad users with strong encryption technologies along with a large VPN server network. All of these features make ExpressVPN a great companion to travel with while you are on the road with your iPad (and an internet connection of course). ExpressVPN has the ability to unblock all the major and most popular streaming services in the world. Our research shows that it even has the ability to work in countries such as China. ExpressVPN is also great for users who like to stream whole movies and/or shows while they are commuting. ExpressVPN should be your streaming VPN of choice if you want to make sure that you always have access to a good VPN service. As mentioned just now, there are not a lot of VPN services in the market today that know how to combine high levels of data encryption with VPN servers that are super fast. If you are using ExpressVPN as your primary VPN service then you can comfortably say goodbye to video buffering. That should never become an issue for you if you can make sure you have a fast enough internet connection. ExpressVPN also offers users a 30-day money-back official guarantee which it throws into the VPN mix as well. Our research shows that ExpressVPN is able to tick almost all the boxes that we require a VPN to tick for iPad users. Click here to read our comprehensive ExpressVPN review right now. This should be the VPN service of choice for those VPN users who do not feel at home with IT but still have to make use of it in order to carry out their daily tasks. If you iPad folks do not like terms such as VPN and/or OpenVPN or UDP then this is the VPN service for you. CyberGhost VPN has done a lot of work in the recent past to make sure that it is able to tailor its VPN experience according to the service. Some believe that CyberGhost VPN is so user-friendly that everyone and their mom can use it. CyberGhost has become one of the best VPN for iPad precisely because it had the wherewithal to understand its weaknesses. Then it worked on them till it became its strengths. Our research shows that you will find their official iOS app (a dedicated one) a lot of fun. Not only that, the company’s apps are easy to use. The official CyberGhost VPN app does its best to tailor its app with any and all information that the user may need and require. As with all other VPN services on this list, CyberGhost VPN offers users the feature of forming a connection with the internet by pressing a single button. Again, that is very important. Not only that, CyberGhost also offers options to users in order to tailor their experience according to their own needs with a single press of a button. Depending on the requirements of the iPad user, CyberGhost can change the experience it provides to its iPad users. We have already established the fact that CyberGhost VPN is one of the most user-friendly and beginner-friendly VPN services in terms of design. What we haven’t mentioned so far is the fact that it further improves its VPN credentials by offering iPad users industry-standard levels of security. More specifically, it offers good privacy protection features and encryption options. We will be the first one do admit that Cyberghost VPN does not have the biggest of VPN server networks. But the fact is, it is by no means small. It is actually pretty decent once one compares to what is on offer in the VPN market outside of the top three or four VPN service providers for iPad. Our research also shows that Cyberghost VPN is no slouch when it comes to speed. Its VPN servers can provide users with enough speed that they are able to enjoy their streaming experiences on their iPad devices. We have also come to know that if CyberGhost VPN tries a bit harder it can actually improve its VPN server performance by just enough to allow it to jump up in the rankings. Nevertheless, CyberGhost VPN is a good choice for iPad users who are totally new to the concept of a Vpn service and what does it do. Click here to read our full CyberGhost VPN review right here and right now. To finish off our roundup of the best VPNs for iPad, there is VyprVPN. A fitting end to our list of best VPNs for iPad, VyprVPN is by no means a lesser VPN service than others mentioned on this list. It is just that it targets a different set of iPad users. First off, VyprVPN immediately jumps at you as a VPN service that you should pay attention to because of the fact that it has been offering such a great service to different users for so many years now. In other words, it has a lot of experience. Secondly, VyprVPN is a favorite for those users who are looking for a VPN service that provides them with not only a robust VPN service but a consistent one as well. Our research shows that the last couple of years have been transformative for the company. Just a year ago, VyprVPN actually became one of the handful of VPN service providers who had the confidence and the quality to undergo a completely independent audit to verify its no-logs claim. So for those iPad users who are extra conscious of their online security, this VPN service is great. It is also a great VPN service for those who want to rest in knowing the fact that their data is safe and secure. The server network size is reasonable. On the other hand, the speeds are anything but exceptional. Encryption implementation is also strong. Perhaps the worst point about VyprVPN is that the company does not provide any money-back guarantees. However, the company does offer you a three-day money-back guarantee which we know some iPad users would definitely prefer. We hope that our best VPNs for iPad have helped you make up your mind. 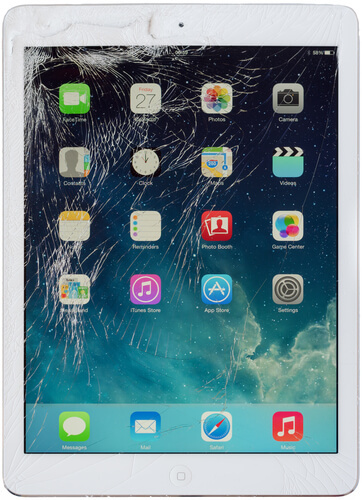 In the end, IPVanish wins out for most iPad users, our research shows. However, if you like to use the iPad for particular reasons when some other VPN may prove to be the best for you. The iPad users who want to secure their data with a good looking VPN app should go for ExpressVPN. Those iPad users who want to make sure that they are able to unblock each and every streaming service on their iPad device should sign up for NordVPN. Beginner VPN users on the iPad should sign up for CyberGhost VPN. For those of iPad users who like to try out a service without paying any money, they should go with VyprVPN.